When English racer Hugh Brayshaw starts La Solitaire URGO Le Figaro on Sunday it will be still just his third year of solo offshore racing and yet he finished top Amateur in last year’s edition. This time he is looking to make significant inroads, aiming to scale the leaderboard to a finishing position which reflects his hard winter of training, a good season of pre- La Solitaire races and his obvious talent. 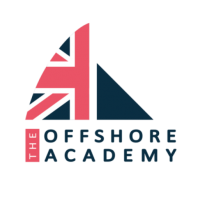 Brayshaw, 24 years old from Dorset in England sails full time with The Offshore Academy and, although he spent periods training and racing in France through winter and spring, he is based in England and did much of his core training out of Cowes. Brayshaw has moved on from Amateur status, now sailing full time. After a successful first season with sponsors KAMAT – a German manufacturer of marine pumps used in the offshore energy sector – the company have extended their support and Brayshaw considers he is in good shape for the upcoming race. This season already he has finished 18th in La Solo Maitre Coq, 13th in the Solo Concarneau and 23rd in the Allmer Cup. But along the way he is happy to have proven himself much more competitive, increasingly able to convert his speeds and inshore skills from his years in the Olympic 470 dinghy and the feeder youth classes in which he represented GBR at the Youth Sailing World Championships. “I am happy with my preparation, the boat is prepared to a good standard and I have done much more racing now and altogether feel much more comfortable and competitive. In the last race I did, the Allmer Cup, I spent some time in the lead so I know that my overall speed is much better. Every year I accumulate more knowledge and get faster so I feel good.” Says Brayshaw, who is also making a name for himself as a sportswear designer and is selling his own range off his website. 2016 his Solitaire was marred by a forestay breakage hours into Leg 3 of the race which meant a retirement from the stage which dropped him down the fleet. This year he lead the Allmer Cup early on but had two major problems – wrapping a trailing sheet into the rudder and then, later, getting a fishing net and rope around his keel – which both cost him a big chunk of time. Winter training out of Cowes in December is still a far cry from the concerted race team approach of the Lorient or Pole Finisterre set ups, but Brayshaw has done the hard, cold miles which build confidence in the boat and in himself and has a natural ability when it comes to speed. He has done a number of RORC offshore races as well this season, two handed in a Figaro, and trained a bit with Irish skipper Joan Mulloy, in fact ticking off a number of boxes around the course. Meantime Brayshaw is still happy to be serving out his solid apprenticeship in the Figaro class and is looking forwards to moving into the Figaro 3 when the field, he thinks, will be evened out by the adoption of a new class, with the fleet learning it together.